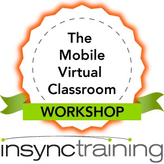 Citrix GoToTraining kindly invited InSync Training President Jennifer Hofmann to share her five steps for making the virtual classroom mobile and social with their audience on November 3, 2015. Understand what mobile learning and social learning mean. 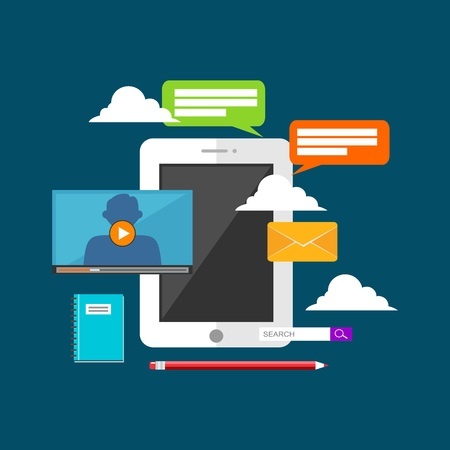 Determine why and when you should choose mobile and/or social learning for your program. Determine what content should be mobile and design components. Determine what content should be social and design components. Implement in an authentic environment. 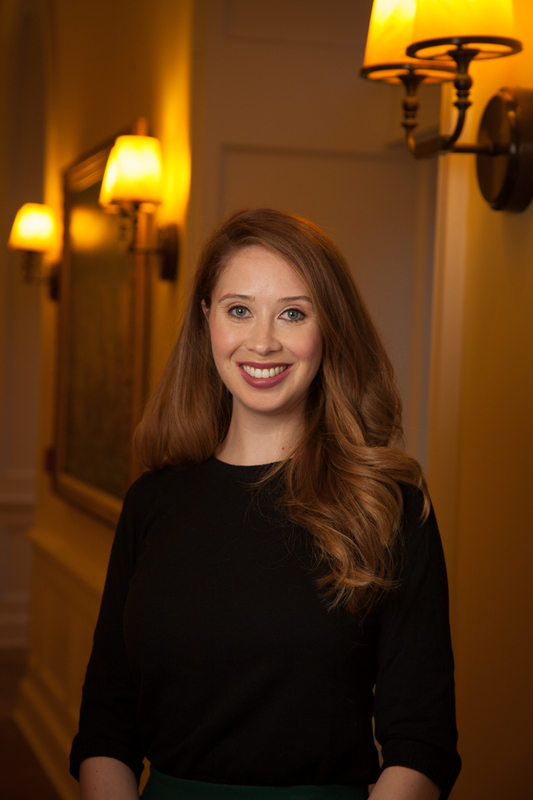 This blog post includes questions posed by session attendees and Jennifer’s responses. To view the session recording, click here. Is there something else that trainers, training managers, and teams in general need to have before these five steps could even work and move their training forward? Yes, they definitely need to have the right attitude. Just because you’ve got the technology, just because you have the social technologies, does not mean that you can plug all of your content in and it’s going to work tomorrow. You need to have a design mentality to make sure that you’re integrating the technologies in the right way. Don’t assume that everything is going to work in every technology. What about combinations of when training takes place? Can we have collaborative and formal learning? Informal on demand learning? Can some of these blend? When designing mobile and social learning, do we design for the lowest common denominator? If we do this, then it seems like we’d always be designing for the desktop computer. No, what I think is we determine what the right platform is for a particular learning event. When we advertise the program, we say, “These are our learning objectives. You’ll be able to do the following at the end of the program. This program is designed for the desktop learning environment.” Different organizations might be able to say, “Don’t allow mobile.” Or you might say, “If you choose to participate on a mobile device, learning objectives will change to a knowledge objective. You will not have practice. We do not expect you to meet mastery.” However, as an adult learner, you want to make choices about what’s important to you. If it’s not important for you to have practice, then you can choose to be in more of a listen and view-only mode. But, when we design for a particular device, we should advertise that we promote that particular device and explain what the learners will not get if they do not use the suggested device. What do we do about students that only have tablets and phones? If you know that most of your learners will be joining on a mobile device, then design for it! Find different ways for people to get the hands-on practice, maybe follow-up videos or a workbook where they can do exercises. Think about when the mobile device provides instructional fidelity. When does it really support what you’re doing? We don’t want to use a toolset that doesn’t make sense for the learners’ level of knowledge. Think about your audience - where they’re learning, and how they’re learning. When it comes to learner engagement on mobile, what are your thoughts? I don’t want to say that any individual person can’t be engaged on a mobile device. But as a matter of statistics, a larger portion of our learning audience is likely to be disengaged on a mobile device. We need to be careful, because there some of you out there who say, “We need to go mobile! Everything needs to be mobile.” Individuals might be engaged if they choose to do that, but we need to think about the larger group. You can really engage mobile participants if you know they’re going to be mobile. Design for that environment and the different types of activities they can engage in. Think about the fact that they probably won’t have printed materials with them. The reason people are mobile is because they are on-the-go. If you want to do GoToWebinar on a mobile device, keep the lessons short, say, 20 minutes. Put a resource page online. People aren’t going to have paper on the road. One of the things you can introduce is job aids learners can download. Say, “Here is the resource page.” If you’re going to have tools, teach them in context, not up front. We’re not going to discuss agenda, objectives, and introductions because we don’t have that kind of time. I think a producer, once you get to a larger audience size, will keep track of engagement. My personal preference, even if you’re delivering to an audience on mobile devices, you, the facilitator should be on a full screen so you can support the learners in the best way possible. How do you suggest facilitators moderate live mobile and social training sessions, especially when they don’t have the support of the producer? Don’t be surprised when people ask questions! That’s what we want. So plan for those commercial breaks. Don’t build them in, but plan for them. Maybe say, “In two minutes, I’m going to call on someone to answer this question,” and then put it on the screen. Follow-up with, “I’d like you to come up with an answer and raise your hand when you have it. Meanwhile, I’m going to catch up on chat.” You can build in those interactions and look very organized. You don’t want to stop yourself mid-sentence; everybody knows when you’ve stopped to read the chat. It can be disjointed to your conversation. Resist moderating the chat all the time and create places in content where it’s a natural pause. Give your participants something to do – you don’t want them catching up with you because if they know you’re going to be spending 30-40 seconds reading chat, they can get distracted. Give them something to do – even if it’s thinking or reading. Plan it. If you see chat going crazy, admit it. Say, “Ok! Chat’s going nuts! I need to stop and find out if there’s something going on.” There’s body language in the bandwidth there. The less planning you do, the more you’ll lecture. Plan. Just because it’s technology enabled, doesn’t mean tech is doing the work. Designers have a more important job than ever before. A lack of design online is more obvious than a lack of design face-to-face. Is there anything that we need to do differently these days in attracting people to our courses? Is using mobile and social a way to entice learners? Or is it scaring them as we invite them into learning? We have this assumption that because we have a phone, that we know how to use that phone. That’s not necessarily the case. We need to provide job aids on how to use every tool, and set ground rules about participation. If you’ve got social tools, is it ok that people lurk as long as they’re learning? Do they have to participate in everything? What if I decide to use a mobile device and it wasn’t designed for a mobile device? What’s the impact of that? How much does learner choice come into play? We need to set expectations and provide tools that teach people how to use the tech and teach people how to collaborate. In your experience, has there been a type of learning that has done well on mobile and something that’s fallen flat? I think an application that isn’t designed for a mobile device, shouldn’t be taught on a mobile device. If you’ve got a warehousing app that runs on mobile, you can teach it on mobile. As far as content that works well, you can do small group collaboration where people can contribute their own content and talk a lot. It’s easy to keep people engaged when they’re contributing to the conversation. One example is a mobile live event that pulls in live examples learners have put together, and pros and cons. Don’t rely on the PowerPoint – rely on the people! If it’s very people-oriented, if it encourages us to speak and share our own opinions, I think you can be very successful on mobile. 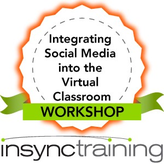 For intensive, hands-on training in social and mobile learning, check out our workshops - Integrating Social Media into the Virtual Classroom and The Mobile Virtual Classroom Workshop, by clicking on the graphics below.